LT Abroad is a fully functioned Education Joomla Template that is specially designed for educational consultant centers to promote itself and improve reputation. Developed on the latest version of Bootstrap CSS Framework, integrating with Google Font , this theme brings you the best look of a professional education centers. LT Abroad comes with the great content organization, with many sections you can use to introduce all of your center information as well as advertising attractive courses in a stunning way. This theme also provides you with a powerful Contact Form that your customers can use to keep in touch and get the newest update from your centers. 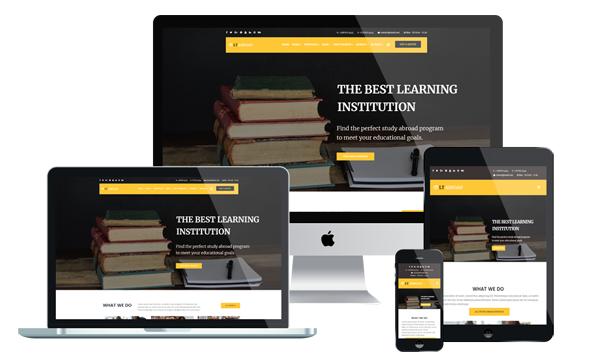 The Joomla Education template is fully adapted with all mobile devices with 100% responsive layout, clean and stylish. Besides, 4 color styles and boxed layout are also ready to help you create the best appearance for your site without wasting your time and effort. No more hesitation, come and get it now!